In this final onboarding course, we'll create a domain and learn about the different ways that students can access your training portal. 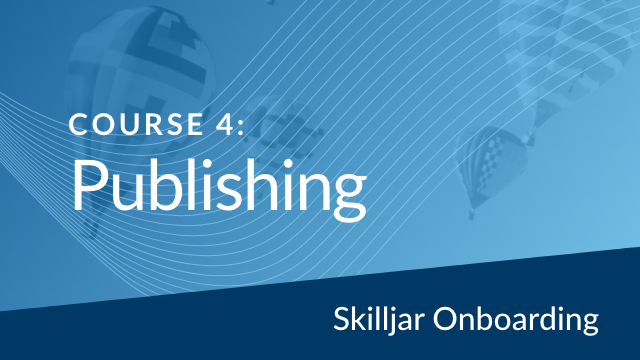 You'll learn about publishing courses to your course catalog and the marketing tools you can use to get the word out about your courses in Skilljar. We'll also discuss the different options associated with selling training and creating groups. This course is designed for new Skilljar customers who are designing the course catalog, configuring access settings and launching the training portal.